Bridal : Sunday, January 20, Noon – 3 p.m. Attention all prospective brides! 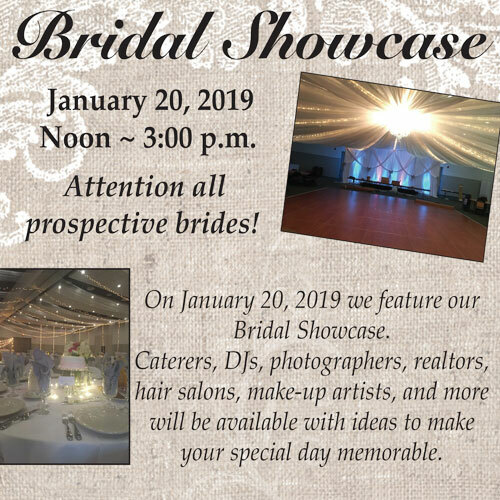 Pritchard Laughlin’s annual Bridal Showcase will take place on Sunday, January 20 from noon until 3 p.m. This is your chance to make connections with caterers, DJs, photographers, realtors, hair salons, make-up artists, and much more! Take away ideas to make your special day memorable. Admission is $5 per person at the door.